Horace Maynard was born on August 30, 1814, in Massachusetts. A graduate of Amherst College, he taught at East Tennessee College, later the University of Tennessee. Also a lawyer, he was counsel for the establishment of Union County in 1850, and Maynardville was named in his honor. Elected to Congress in 1857, he served until 1863. 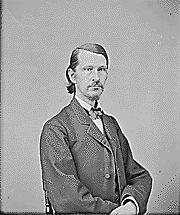 After the Civil War, Maynard was reelected to Congress in 1866 and served until 1875, when he was appointed Minister to Turkey. 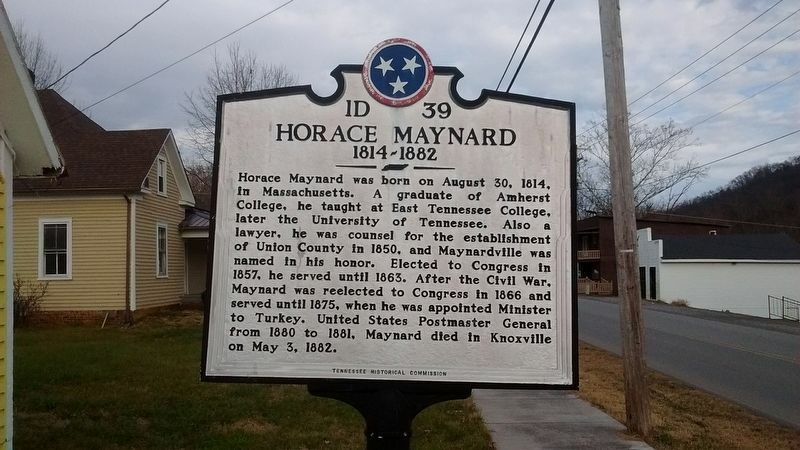 United States Postmaster General from 1880 to 1881, Maynard died in Knoxville on May 3, 1882. Location. 36° 14.987′ N, 83° 47.905′ W. Marker is in Maynardville, Tennessee, in Union County. Marker is at the intersection of Main Street and Court Street, on the left when traveling east on Main Street. Touch for map. 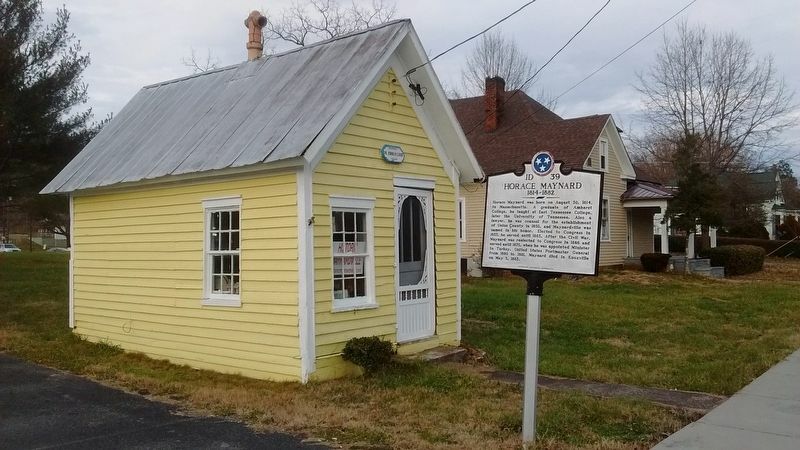 Marker is in this post office area: Maynardville TN 37807, United States of America. Touch for directions.
. Roy Claxton Acuff (about 600 feet away, measured in a direct line); Divided Loyalties (approx. 0.3 miles away); Racoon Valley (approx. 2.8 miles away); Walker's Ford (approx. 6.6 miles away); Sawyer's Fort (approx. 7.2 miles away); Shields Station (approx. 8.2 miles away); Emory Road (approx. 8.4 miles away); Blaine's Crossroads (approx. 8.7 miles away). Touch for a list and map of all markers in Maynardville. More. Search the internet for Horace Maynard. Credits. This page was last revised on February 28, 2019. This page originally submitted on February 27, 2019, by Tom Bosse of Jefferson City, Tennessee. This page has been viewed 64 times since then. Photos: 1, 2, 3. submitted on February 27, 2019, by Tom Bosse of Jefferson City, Tennessee. • Andrew Ruppenstein was the editor who published this page.